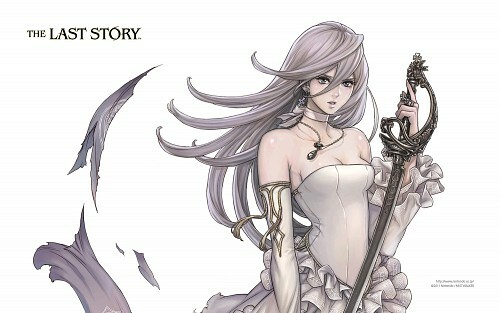 Those wanting to try out the aptly named The Last Story will be pleased to hear that XSEED has announced August 14 as the game’s official release date. Before, the game was suspected to release on June 19th according to retails like Gamestop and Amazon. Then retailers announced that the game would release on a later date. While many called this a delay, XSEED didn’t see it as one since they themselves never announced a release date and that the June 19th date was speculation from retailers. But here the legit, 100%, straight from the horse’s mouth date. Tuesday, August 14th, is the day to get The Last Story. XSEED has also announced that those who preorder get a special soundtrack CD. Though they don’t say it on the Tweet, you also get an artbook if you buy it in the first print run (regardless if you pre-order or not). They haven’t clarified if you’ll get the bonuses regardless of store. So now that you know the date, have you finished Xenoblade yet? This entry was posted in Gaming News and tagged hironobu sakaguchi, japanese, jrpg, mistwalker, nintendo, Sakaguchi, the last story, XSEED on July 11, 2012 by Steven T..